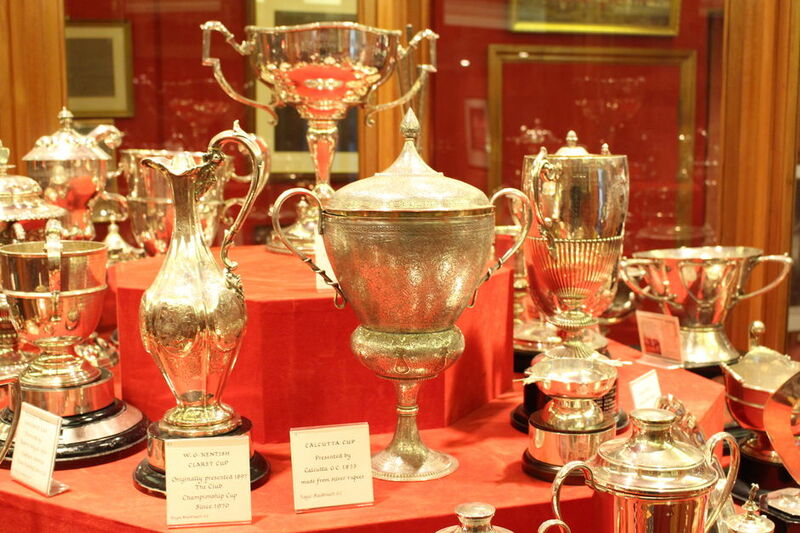 As might be expected of a club with as long and as prestigious a heritage as Royal Blackheath, we are able to evidence our standing in the history of this royal and ancient game with an array of trophies and medals which is widely regarded as unparalleled in the world of golf. Originally the Gold Medal of the Knuckle Club, this is the oldest medal in the world, having been struck in 1789 and first competed for in 1792. 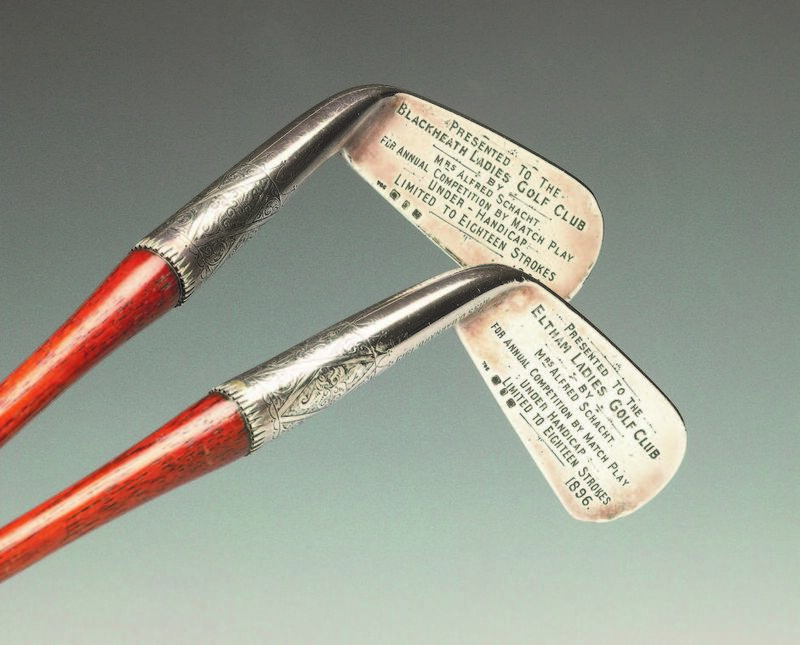 The golfing term 'medal' competition derives from this artefact. The inscription reads "Quaesitum victrice manu", which may be freely translated as "Reward of skilled victory". It is now the Royal Blackheath Spring Medal, our most prestigious medal. 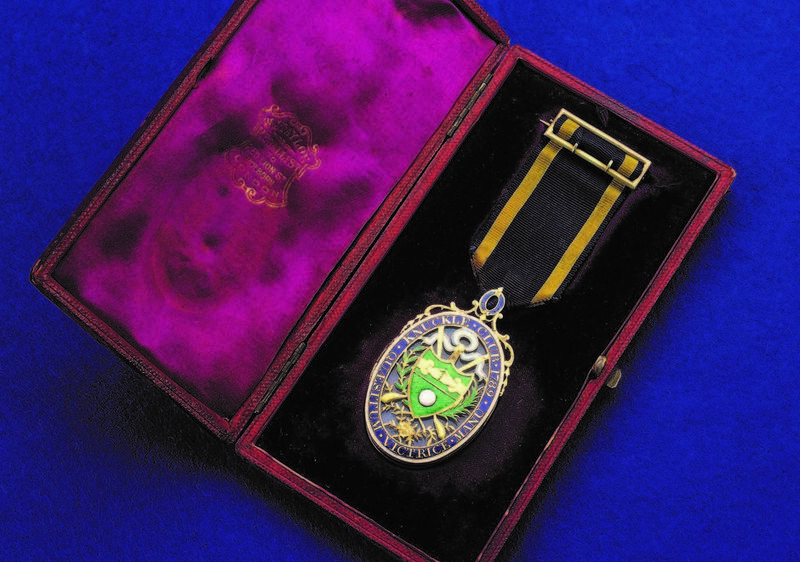 The Summer Medal, first competed for in 1823, is one of the Club's four most highly prized medals, each of which is celebrated on the evening of the competition, by a Wee Dinner. Typically, they are far from 'wee'! Scratch medal competition, followed by last Wee dinner of the year. In August 1842, our minutes state that the Blackheath Golf Club, having noticed that a Golf Club had been established in Bombay, ordered a bumper to be filled to drink success and perpetuity to the Bombay Club, and directed the Secretary to communicate this notice and to send a copy of the Club rules with the further advice that their Captain was 'ex officio' to be an Honorary Member of the Blackheath Golf Club. In October 1843, a letter from Bombay Golf Club was received stating that the Secretary had sent by steamer a Gold Medal resolved by the Bombay Golf Club to be presented to their Blackheath brethren. Many members of the Bombay and Calcutta Golf Clubs at that time were, of course, Scottish merchants and clearly knew Blackheath and its members well. Scratch medal competition, followed by first Wee dinner of the golfing year. Handicap competition, played in conjunction with Summer Medal. 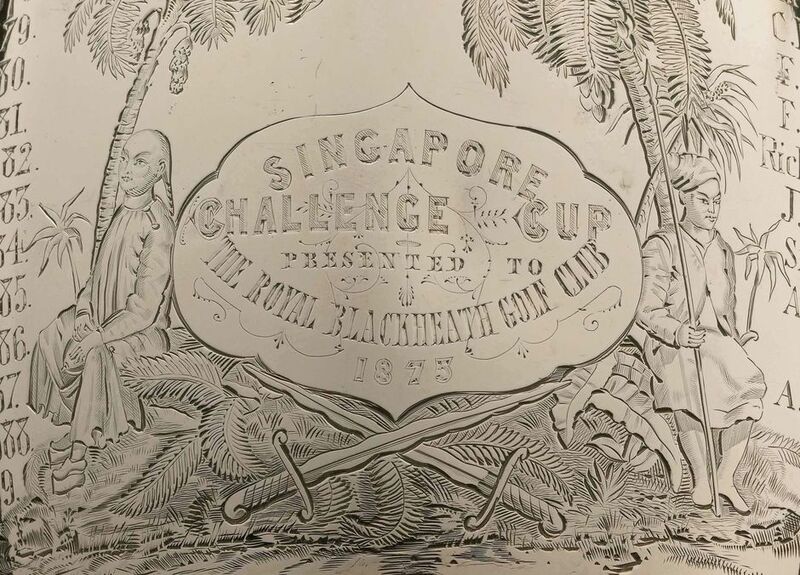 In December 1873, the Secretary of the Calcutta Golf Club records with thanks the arrival of a handsome Gold Medal presented by Royal Blackheath Golf Club. In response, Royal Calcutta presented the Club with this magnificent silver trophy. The names of all past winners are engraved on the inside. George Glennie remains the Club's most accomplished golfer. He was Captain in 1862 and 1863, and Secretary and Treasurer from 1868 until his death in 1886. He won the Spring Medal four times, the Summer Medal six times and the Bombay Medal four times, and the Gold Medal at Royal North Devon three times. In 1881, he won the Silver Medal of the Royal & Ancient, and in 1855 won the Club's King William IV Gold Medal with a score of 88, which was not bettered for 35 years. The pinnacle of his career, however, was undoubtedly his winning of the Grand Foursomes Tournament at St Andrews with J C Stewart in 1857. In 1881, the Club honoured Glennie for his services as Secretary by having the George Glennie medal struck. Two medals were made one was sent to the Royal & Ancient for annual competition and one was kept by Blackheath, also for annual competition. In 1893, the Rt Hon Sir Stuart Knill became Lord Mayor of London and entertained the Royal Blackheath Golf Club to dinner at the Mansion House - the first (and probably last!) time that a golf club has been so honoured. The Club, as a token of its gratitude, allowed Mr Robert Winch to present the Knill Cup to commemorate the event. 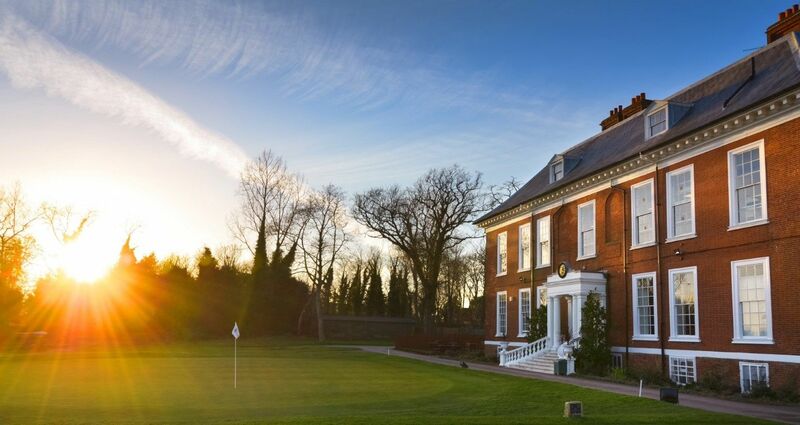 In December 1899, the Blackheath Ladies' Golf Club was founded, having a clubhouse at No 3 Montpelier Row and playing a course at Barnehurst, the land for its construction having been bought by Christian Gray, who was to become Captain of the Club in 1923 and 1924. The ladies were to have no connection with Royal Blackheath until the amalgamation with Eltham Golf Club in 1923 when the two ladies sections joined forces.